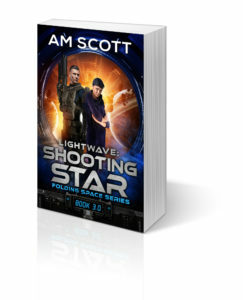 Lightwave: Shooting Star, Folding Space 3.0, is live today! Buy here now: Amazon and Kobo. There’s going to be a delay at other retailers because of my Team Rubicon deployment–I couldn’t meet an upload deadline. My apologies to those of you who buy from Nook, Apple, Smashwords, etc… but it will be live on November 4th!